Diamond Hotel Philippines’ General Manager Vanessa Ledesma Suatengco was appointed by the Department of Tourism (DOT) as Member Representing Accommodation Enterprises, Board of Directors of the Tourism Promotions Board. 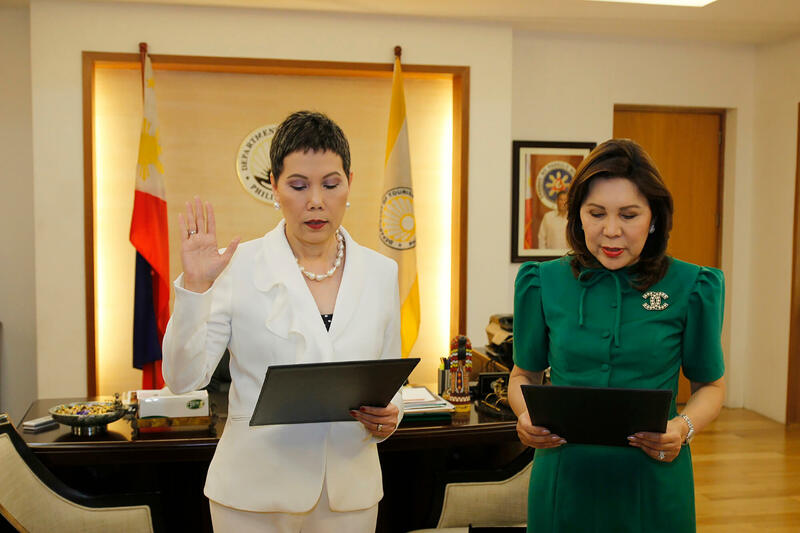 She recently took an oath in the presence of DOT Secretary Wanda Teo. Vanessa Suatengco assumed the role of the General Manager of the Diamond Hotel Philippines in 2009, and became the first Filipina to hold such post in a 5-star hotel in the country. Under her management, Diamond Hotel has evolved to become one of the major players in the hospitality industry and has become an innovator in various endeavors -- making it one of the top hotels in the bay area and hotel of choice among heads of state, embassies, dignitaries, government organizations, corporate clients, convention organizers and entertainment producers. In addition, she was included in the Tingting's List of Elegant Filpinas in 2016, named as one of the 20 Power Women of Metro Magazine in 2009, was included in the coffee table book Beautiful Filipinas in 2007, and selected as one of the Women of Style Substance by People Asia Magazine in 2006.